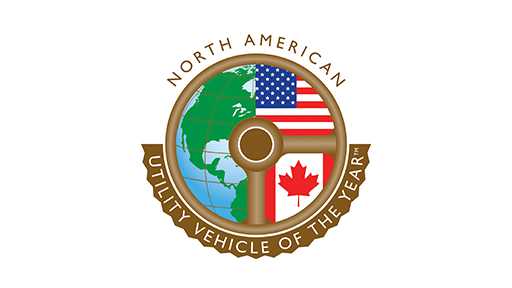 The 2017 Chevrolet Bolt electric car, Honda Ridgeline pickup and Chrysler Pacifica minivan were named 2017 North American Car, Truck and Utility Vehicle of the Year, respectively, Monday. The announcement was made at the North American International Auto Show Monday in Detroit. The Bolt electric car received 364 points from the jury of automotive journalists across the United States and Canada. The Genesis G90 sedan from Hyundai’s new luxury brand was second with 105, followed by the Volvo S90 sedan with 101. The Honda Ridgeline midsize pickup received 364 points to beat the Ford F-series Super Duty, 193, and Nissan Titan, 72. The Chrysler Pacifica minivan got 300 points to top the Mazda CX-9, 135, and Jaguar F-Pace, 125. The award for utility vehicle of the year is new for 2017. It includes sport utility vehicles and minivans. It was added due to surging consumer interest in SUVs, many of which compete with minivans as kid-friendly family transportation. The jury and renowned designer Ed Welburn also presented a check for $5,000 to the Children’s Hospital Foundation of Michigan Foundation as payment for Welburn’s design of a new trophy for the awards. Welburn is a former design director of General Motors. The Bolt boasts an EPA-certified range of 238 miles on a charge and prices that start under$30,000 after applying tax credits. The Ridgeline was engineered to offer a pickup bed for cargo on a car-style chassis that delivers a smoother ride than most pickups. It offers unusual features like a “trunk” under its cargo bed’s floor and a double-hinged tailgate that opens down or from the side. The Pacifica minivan replaces two models in Fiat Chrysler’s lineup, the Chrysler Town & Country and Dodge Grand Caravan. It’s innovative features include a plug-in hybrid model that can go 35 miles on a charge, enough to cover daily driving for many minivans. 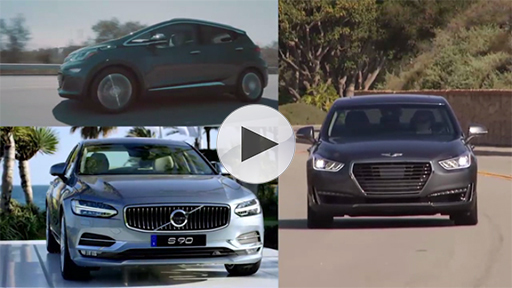 The North American Car and Truck and Utility Vehicle of the Year awards honor excellence in innovation, design, safety, performance, technology, driver satisfaction and value. Initiated in 1994, they are judged about 60 professional automotive journalists from the United States and Canada who work for magazines, television, radio, newspapers and web sites. They are the longest-running award not associated with a specific publication, a structure that produces a diverse base of jurors. Jurors evaluated dozens of new vehicles that went on sale this year to determine the finalists. The award for Utility Vehicle of the Year is new for 2017, in recognition of the growing popularity of SUV-style vehicles. Passenger-oriented minivans are also eligible for Utility of the Year. Vehicles eligible for Truck of the Year include pickups of all sizes and light- and medium-duty commercial vans.